Do Snakes Hibernate in the Winter? Snakes are reptiles and that means they’re cold-blooded. They need the sun for warmth. When temperatures drop, they’ve got to find shelter – fast. But they don’t hibernate like bears. Instead, they bromate. Animals that hibernate go into a deep sleep in the winter and typically don’t wake up until spring. Snakes bromate, which means they go into a sleep when temperatures drop and they wake up when temperatures rise. Snakes do come out during the winter if the temperature rises. They go back to sleep when the temperature drops again. Snakes burrow deep into the ground where it’s cool, but not cold. In milder climates, they sometimes hide in wood piles or rotting logs. Some snakes, such as garter snakes, lay their eggs in holes in the ground. When spring comes, hundreds of tiny snakes emerge from these holes. Be careful when you’re getting wood from the woodpile or walking through natural areas in the winter. It’s still possible to encounter a venomous snake, especially during mild weather. Question: Are snakes slower during the winter? Answer: A snake that is coming out of brumation might be a little slower until it warms up. Watch a National Geographic video about thousands of snakes emerging in the spring in Canada. 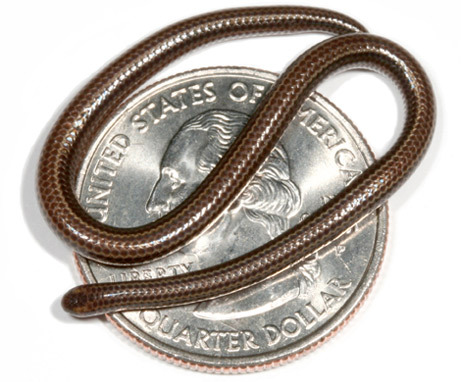 Some snakes are smaller than a pencil. Declan, Tobin. " Do Snakes Hibernate in the Winter? ." Easy Science for Kids, Apr 2019. Web. 25 Apr 2019. < https://easyscienceforkids.com/snakes/ >. Chameleons - Can They Change Their Colors?